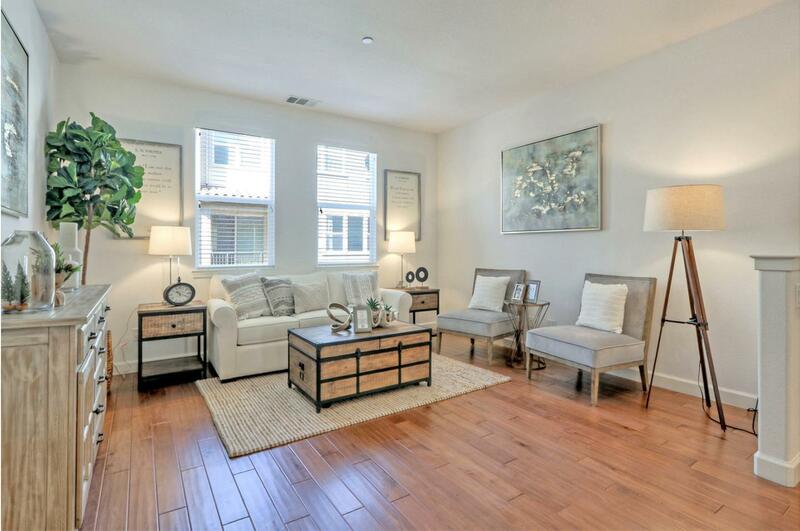 Highly sought after 2-Master suites Fusion townhome in the heart of Sunnyvale! This townhouse is located at one of the best locations in the community. Facing green space and no neighbor in front of the unit = More privacy. Upgraded Gourmet Kitchen w/ granite counter, breakfast bar, stainless steel appliances & balcony! HOA dues cover water/sewer/garbage and earthquake insurance. Amenities include the luxury clubhouse, w/ WIFI lounge, fitness center, fire pit, mini golf, enclosed play area, and 12-seat theater room for private screenings. Located minutes from 101, Lawrence Expressway, Central Expressway & major tech companies such as Google, Apple, and LinkedIn. Walking distance to the park.